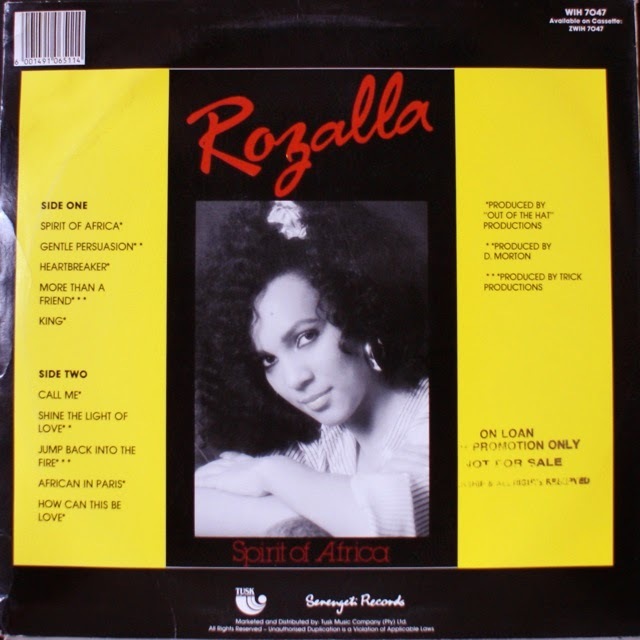 Probably the most successful African singer in international dance music, Rozalla Miller was born in 1964 in Ndola, Zambia and began singing professionally as a child at special events and on kids' TV. At 18 she moved to Zimbabwe, where after fronting various R&B cover bands she launched her solo career, scoring numerous radio hits, including 'Party Time' in 1984. In 1988 she moved to London in search of international success. 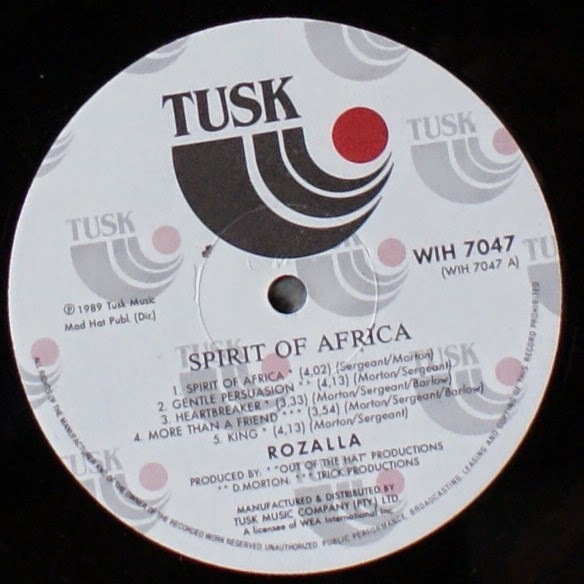 In 1989 she released Spirit of Africa, an album of slick R&B-pop (with minimal African influence except on the title track and 'King') that would soon be overshadowed. 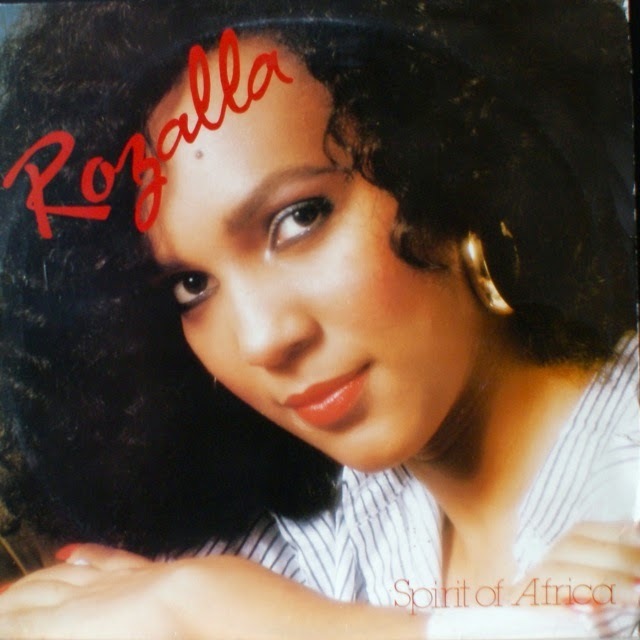 A few months later, working with Chris Sergeant of Unit Dance Records and the Band of Gypsies production duo, Rozalla landed club hits in 1990 with 'Born To Luv Ya' and in 1991 with 'Everybody's Free (To Feel Good)', a hit so massive it earned her the dubious title 'Queen of Rave' in the burgeoning electronic mainstream. Following the success of her debut album Everybody's Free, in 1992 she opened for Michael Jackson on the European leg of his Dangerous tour. She continued to release lesser hits throughout the 90s and beyond, moving between dance music and R&B/soul. Her other albums include Look No Further (1995), Coming Home (1998) and Brand New Version (2009). 'Everybody's Free' enjoyed new life with remixes charting in the UK in 1996 and Australia in 2009. In 2010 she performed in Harare alongside the Rusike Brothers for the first time in many years. In 2014 she released two new singles, 'Can You Feel The Love' with David Anthony and 'If You Say It Again', which entered the Billboard Dance charts in the US. In 2015 she released 'Shaking Through the Night', a collaboration with Farhaan 'Kazz' Khan (of UK-based, Malawi-born, Zim-raised brothers Bkay n Kazz), produced by German producer Peter Schanz. During her 30-year career she has also enjoyed chart success in Sweden, Switzerland, The Netherlands, Ireland, Germany, France, Austria and New Zealand.